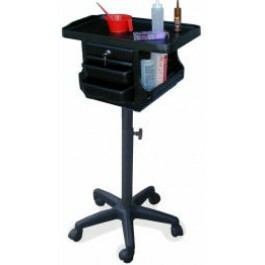 DINA MERI 2400 ROBOTOP COLOR CART - All around utility cart for styling, hair cutting, estheticians, perms, color and much more. Large ABS plastic working top 24" x 16". Two side pockets for extra storage. Five twin-hooded caster wheels for easy mobility.